The Mandaon Number 1 Most Wanted Person was neutralized in a shootout. Camp BGeneral Simeon A. Ola, Legazpi City, [07.09.18] – A jobless resident of Barangay Cabitan, Mandaon, Masbate has died during the implementation of an arrest warrant on Monday morning after resisting arrest against the apprehending law enforcers. According to police report reaching Camp Brigadier Simeon A. Ola, the victim Norman Aldezo Y Rabas, 35 years old, married, jobless and resident of Sitio Rabas, Barangay. 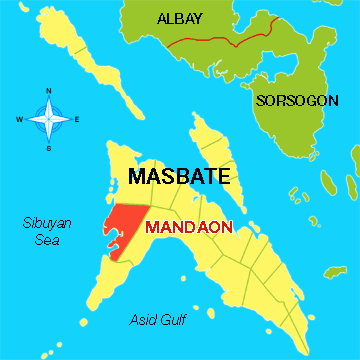 Cabitan, Mandaon, Masbate died in an armed encounter. Joint elements of 1st Provincial Mobile Force Company and Mandaon Municipal Police Station led by Police Senior Inspector Renier Teofilo proceeded to Barangay Cabitan to serve the warrant of arrest against the suspect, a police report said. An armed encounter occurred during the implementation of an arrest warrant as the suspect resisted arrest and was armed with high power automatic pistol. Mandaon Police brought the wounded victim to Mandaon Community Medicare Hospital but was pronounced dead on arrival (DOA) by Dr. Salvador C. Estipona, the attending physician. An automatic “INTRATIC MIAMI FL. 9mm LUGER model TEC-KG9 with serial number 125977, one long magazine (30 Rounder) loaded with twelve (12) live ammunition for caliber .9mm, one chamber load live ammunition of caliber .9mm, one extra magazine (30 Rounder) loaded with fifteen (15) live ammunition for caliber ,9mm, two fired cartridges for caliber .9mm, Four (4) Fired Cartridges for caliber 9mm and two (2) slightly deformed slugs for caliber .9mm were recovered by authorities in the scene. Aldezo is charged for the crime of murder under criminal case No. 18964 and is ranked Number 1 Municipal Most Wanted Person of Mandaon Municipal Police Station.